Okay, so at some point halfway through this hat, I had a revelation. 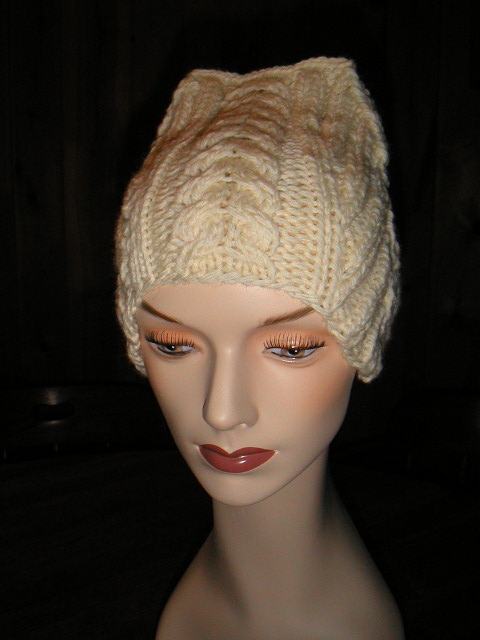 The cables running down the center in the front and back were the braids, hence the pattern name, Hat with Braids. Duh. I must have read the second part of the pattern about a dozen times because it made no sense to me, in terms of it saying how many decreases should be done, so I sort of did what I thought would work and it looks fine to me. 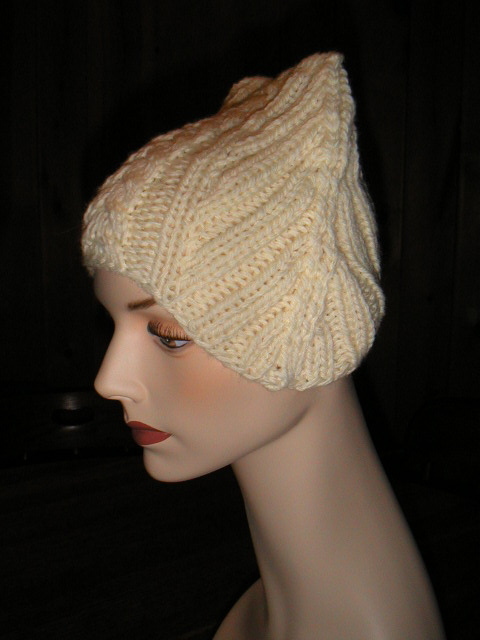 I really like the quasi ear flaps and how the hat is bound off on top. From the side it looks like a kitty hat.